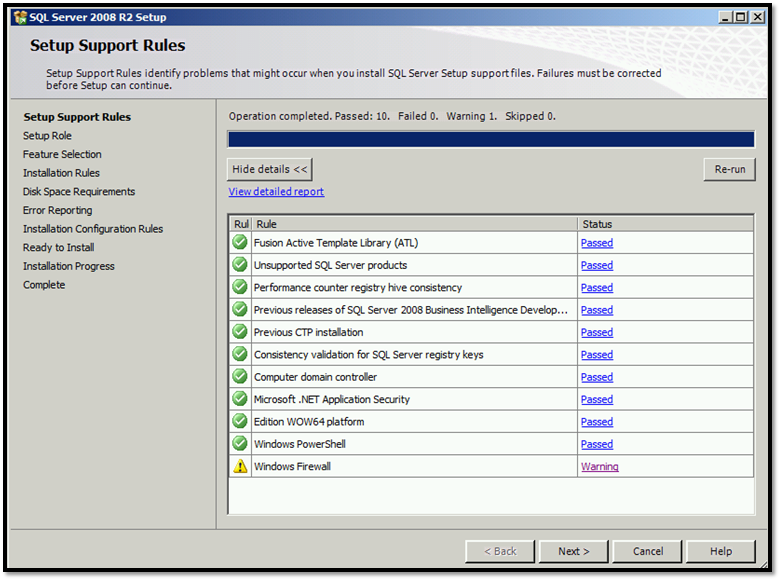 SQL Admin on the SQL Server. 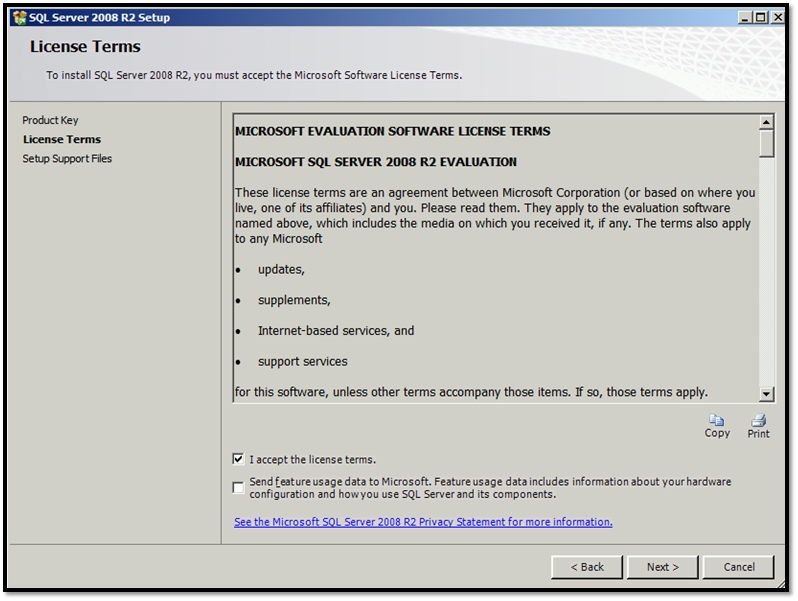 Used to Install the SQL Server. 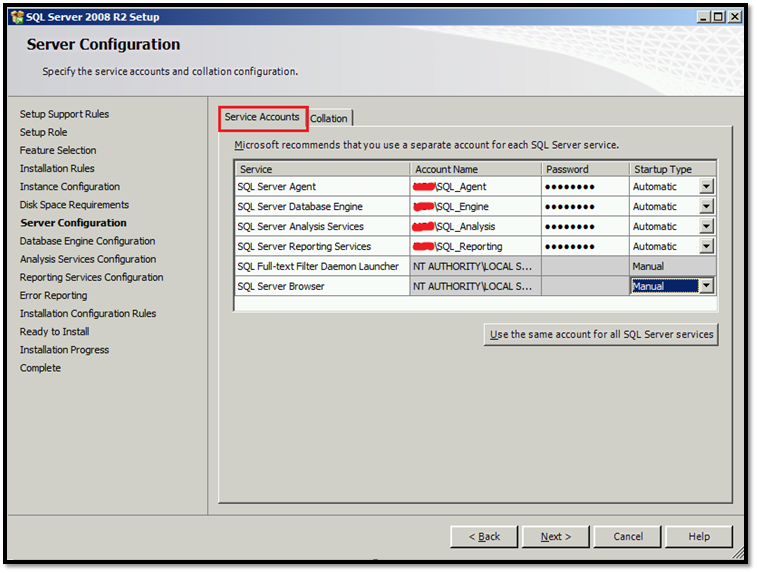 It is the service account for the following SQL Server services: SQL SERVER AGENT. 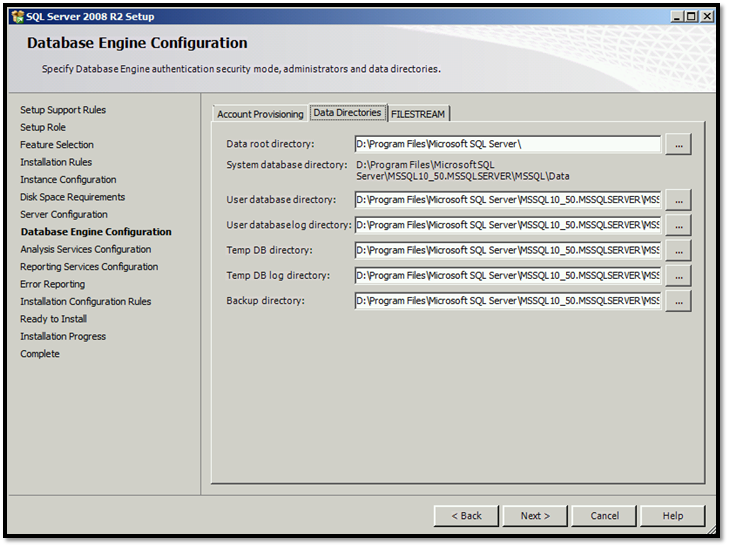 It is the service account for the following SQL Server services: Database Engine. 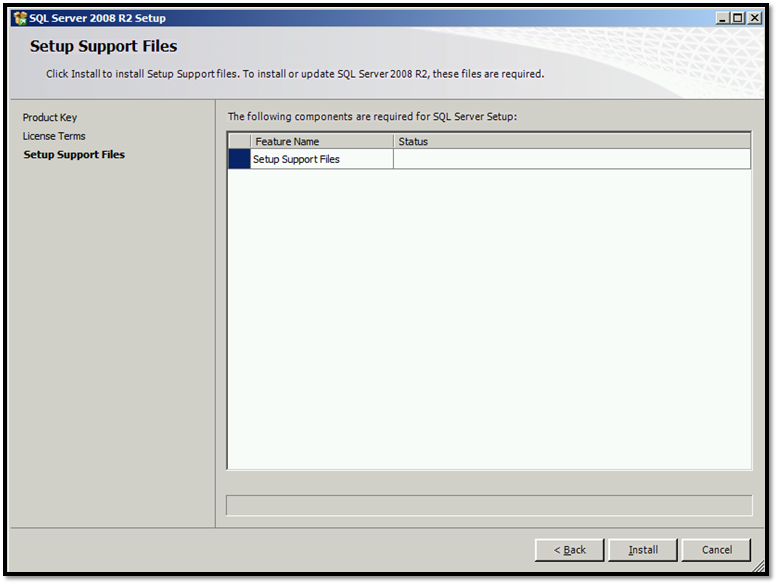 It is the service account for the following SQL Server services: SQL Reporting Service. 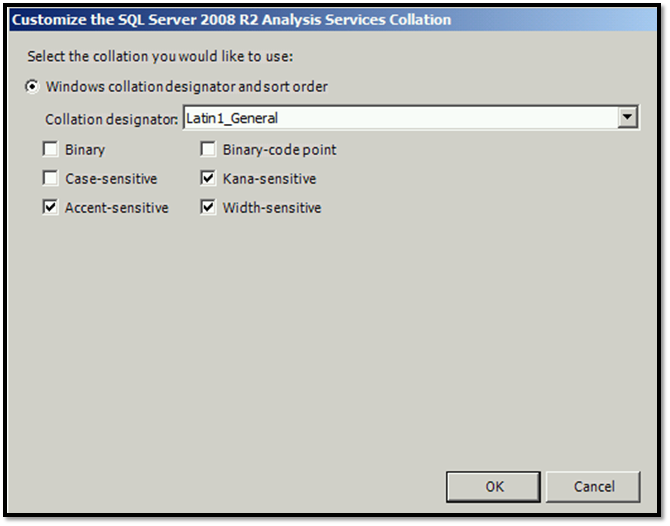 It is the service account for the following SQL Server services: SQL Analysis Service. From practical experience, create a security group for SQL Administrators “SQL_Admins_Grp“, and add the “SQL_Admin” to this security group. 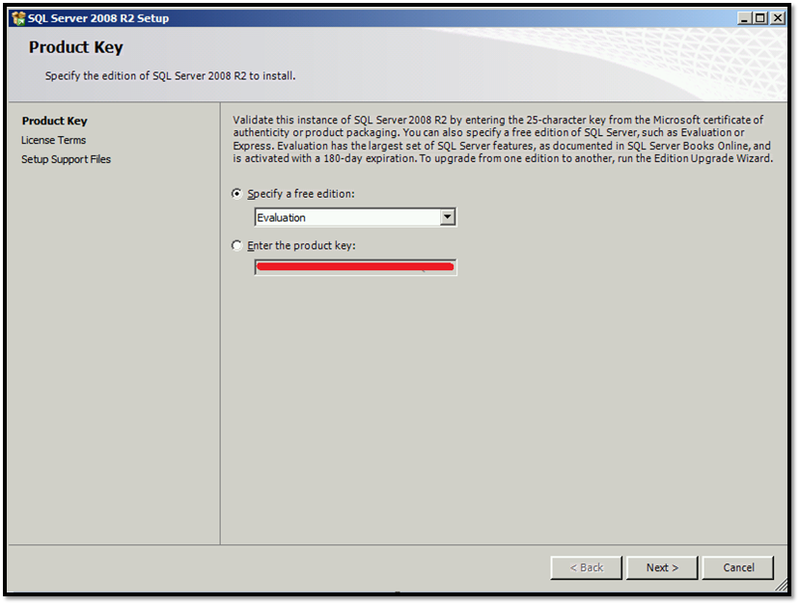 In future if you want to want to give SQL Admin permission to any user; just add the user to this group and it will inherit all permission setting from this group in SQL server. 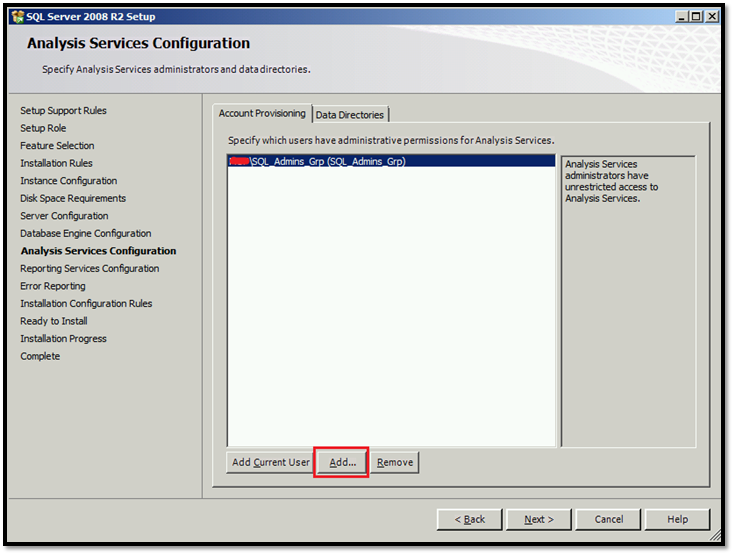 Login to all SQL Server(s) as domain admin, and add SQL_Admins_Grp security group to Local Administrators Group on all SQL Server(s). 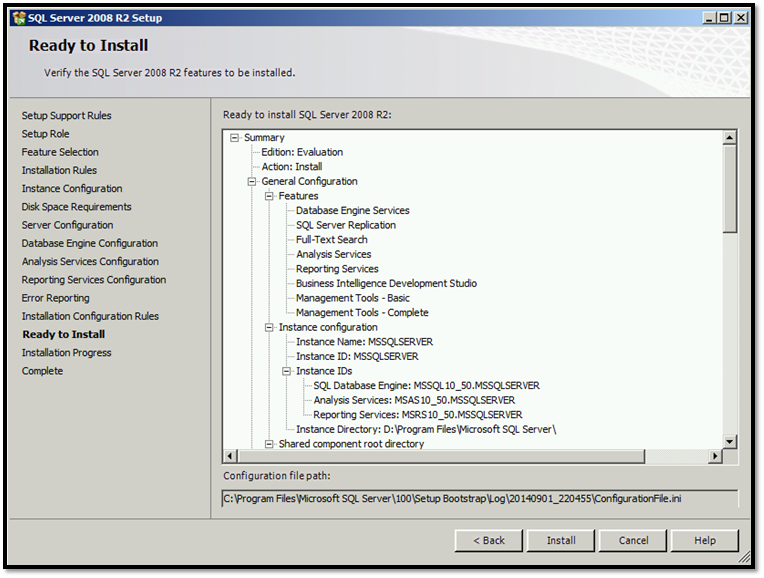 Now, you are ready to next step: install SQL Server 2008 R2. 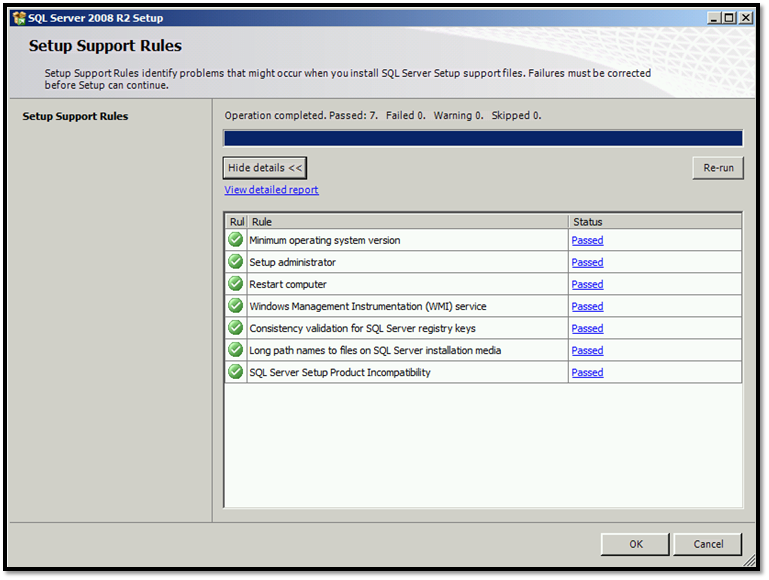 The “Setup Support Rules” form will open and check some SQL pre-requests to identify problems that might occur when you install SQL Server Setup Support files. Make sure all checks are passed, then click “OK” button to move for next step. The “Product Key” form will open, you should enter the Product Key in this form or select “Evaluation” as a free edition, click “Next” to move for next page. 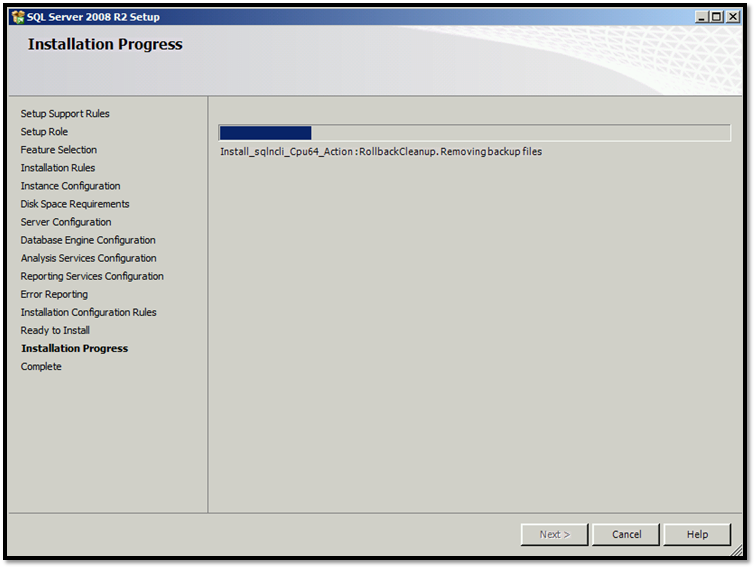 After finish Installation of “Setup Support Files”, click on “Next” button to move for next Page. 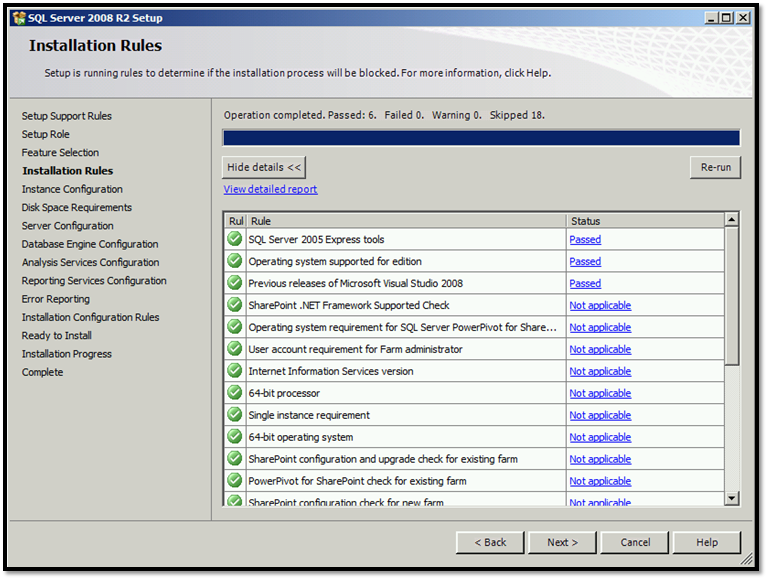 In “Installation Rules” page, make sure all rules are passed or skipped (green checked), click on “Next” button if there is no Failed check. 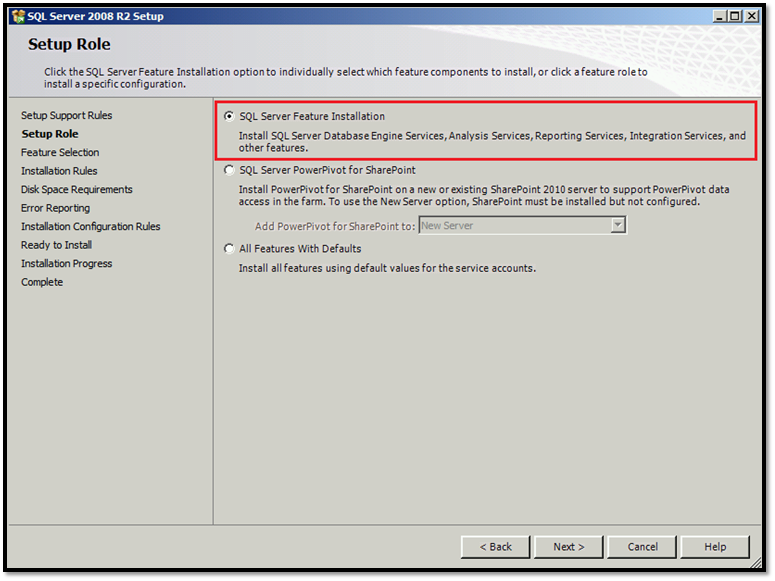 In “Instance Configuration” page, select “Default Instance” and change the directory path of “Instance root directory”, you can change the instance name for advanced setting and scenarios. 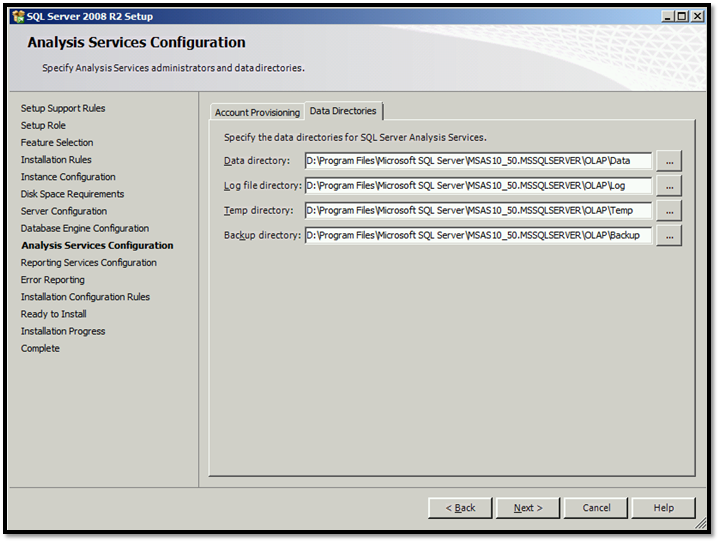 After finish the Service accounts and Collation settings, click on “Next” button. 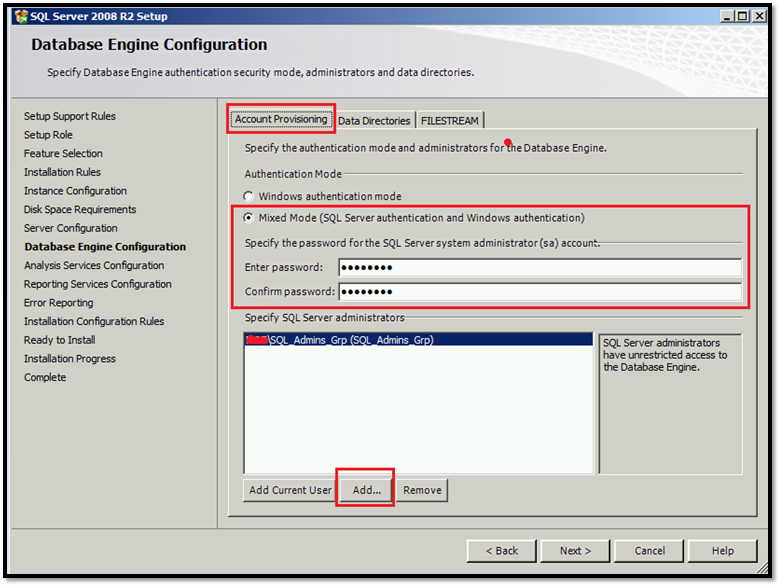 In “Database Engine Configuration” page, In “Account Provisioning” Tab, Select “Mixed Mode” to provide alternative access to Database engine using default “SA” account (SQL Authentication), enter the password for “SA” account. 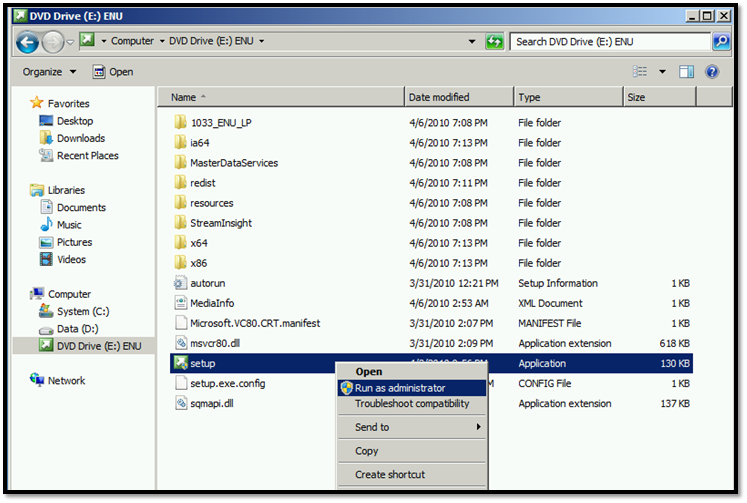 In “Database Engine Configuration” page, In “Data Directories” Tab, make sure the directories path is not a system drive. In “Database Engine Configuration” page, In “FILESTREAM” Tab, enable FILESTREAM feature for advance and future needs like enabling Remote Blob Storage with FILESTREAM. You can skip this feature if there is no plan for FILESTREAM. Click “Next” button to move for next page. 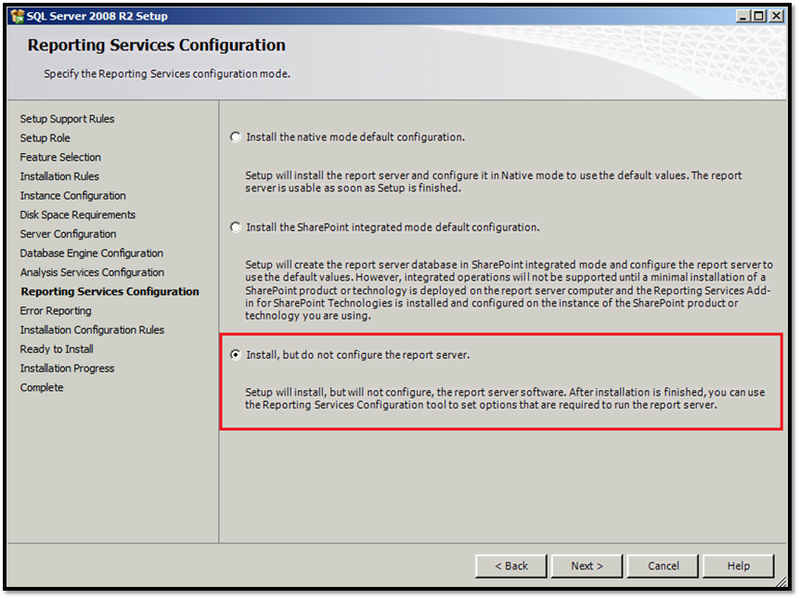 In “Reporting Services Configuration” page, select third option, to install reporting service, but you will configure it later when needed. Click on “Next” button to move for next page. 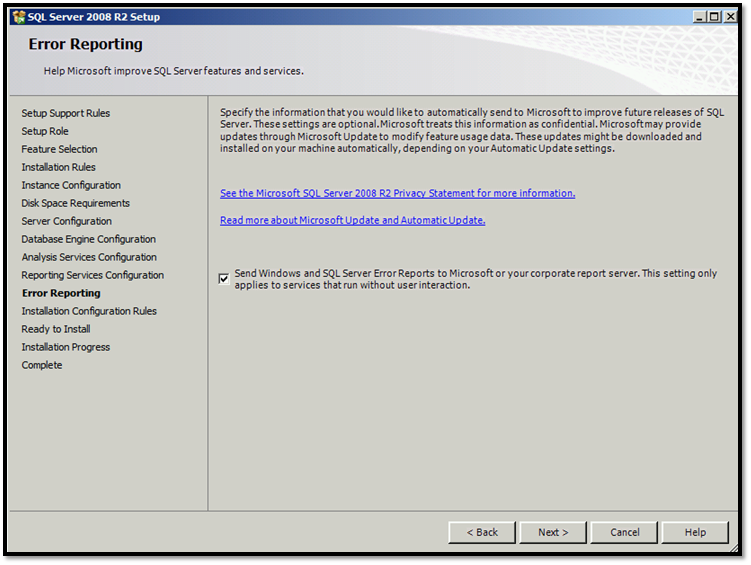 In “Error Reporting” page, select the check box to send Windows and SQL Error Reports to Microsoft to participate in enhancements and fixing errors for next SQL server updates or next releases. Click “Next” button to move for next page. 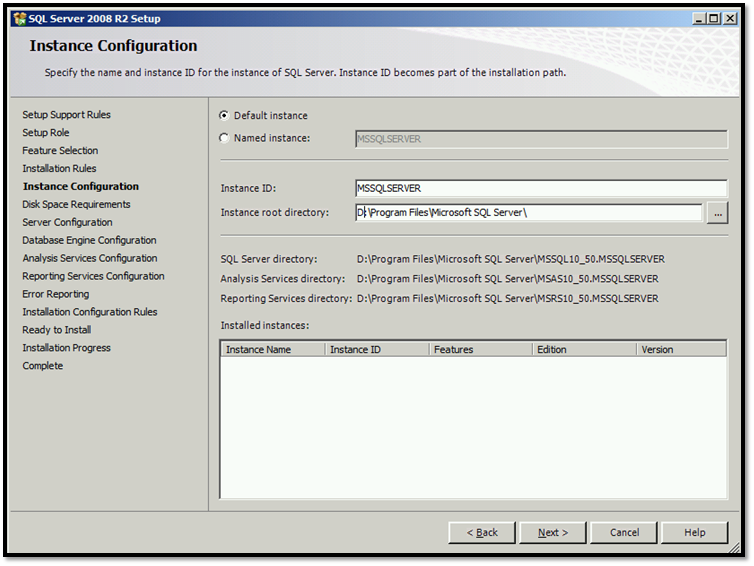 In “Ready to Install” page, check your selected configuration, then click on “Install” button to start SQL installation process. 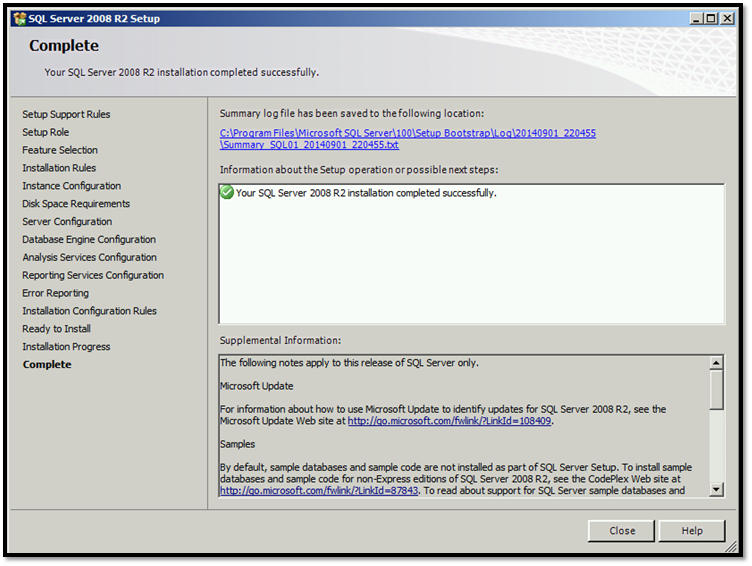 Note: run Windows Updates to get latest updates after successful installation of SQL server 2008 R2. 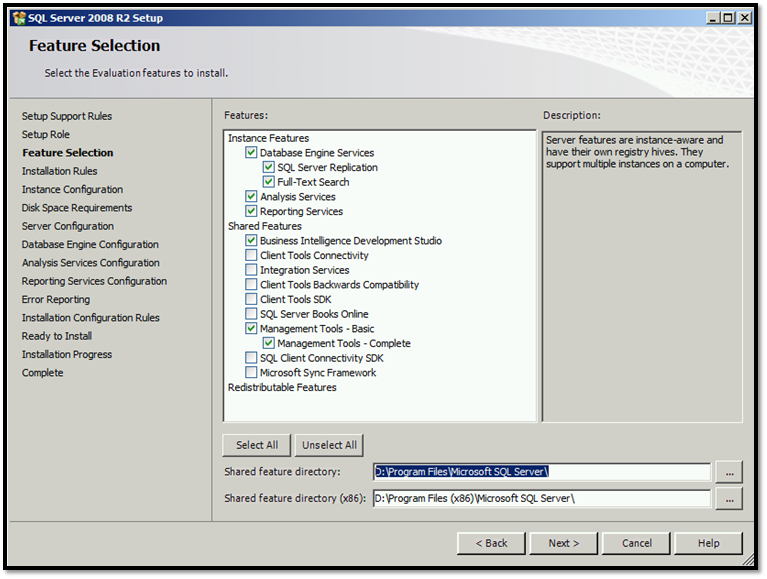 Set max degree of parallelism (MAXDOP) to 1 for instances of SQL (SP will do this when SP is installed). 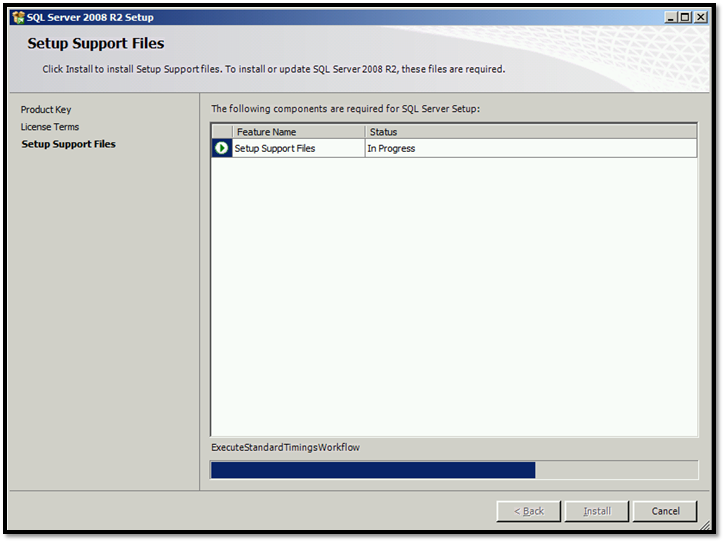 Number of processes for each SQL statement. Memory: You can set the max memory each SQL instance can use. 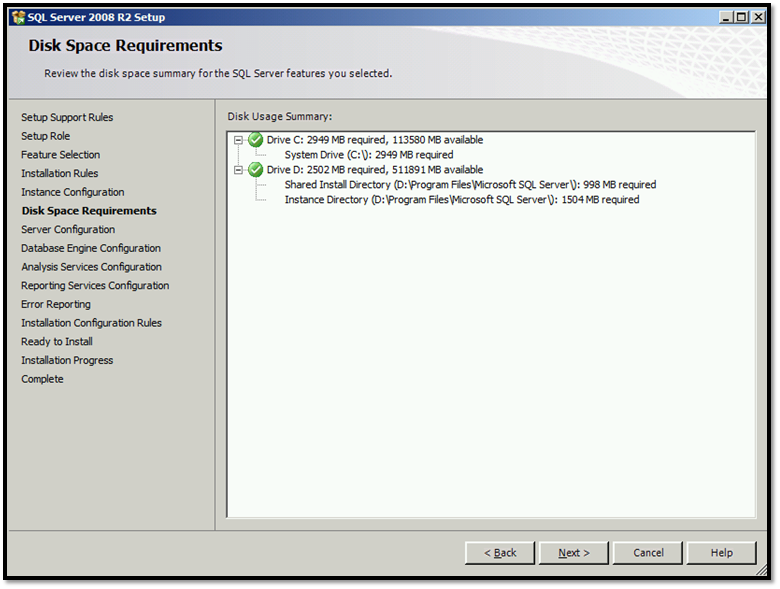 If the machine is dedicate to only provide SQL for SharePoint, the max setting is total memory minus 4GB for the OS. Number of tempdb files should be 1/4th or 1/2 the number of processor cores on SQL server – This is a practice that needs real data from your existing system to see if tempdb is creating a bottleneck and whether or not increasing the number of db files will increase performance. Tempdb: The default is 1, you need more than this depending on how many CPU cores are on your database server. 1 option is set the number of TempDB’s to the same as the number of CPUI cores (1-to-1). Some folks recommend the number of tempDB’s should be 1 less than the number of cpu cores, other folks go for 1 TempDB per 2 CPU cores. Increase initial size and autogrowth settings – fix growth sizes. I would start with 100MB for the mdf and 50MB for the ldf for initial sizes.